Hans Memling (Memlinc) (c. 1430 - 11 August, 1494) was a Flemish painter, born in Germany, who was the last major fifteenth century artist in the Netherlands, the successor to Jan van Eyck and Rogier van der Weyden, whose tradition he continued. He is known for such works as The Last Judgment, the St. John altarpiece and the Triptych of Earthly Vanity and Divine Salvation. 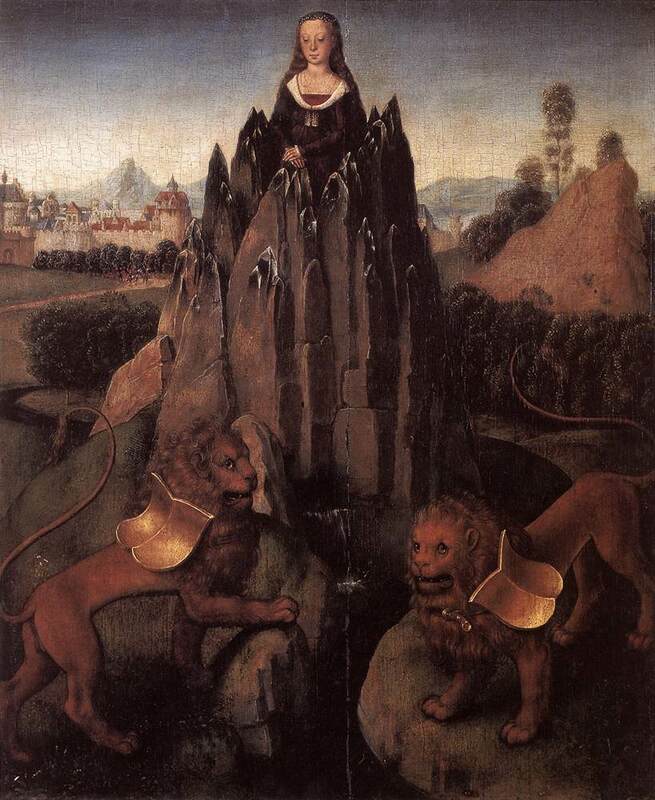 Born in Seligenstadt, near Frankfurt in the Middle Rhein region, it is believed that Memling served his apprenticeship at Mainz or Cologne, and later worked in the Netherlands under Rogier van der Weyden (c. 1455–1460). He then went to Bruges around 1465. There is an apocryphical story that he was wounded at the Battle of Nancy, sheltered and cured by the Hospitallers at Bruges, and that to show his gratitude he refused payment for a picture he had painted for them. 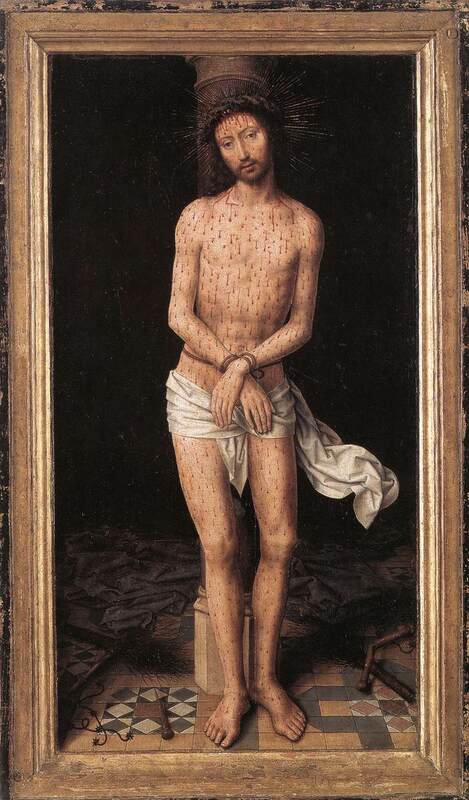 Memling did indeed paint for the Hospitallers, but he painted several pictures for them, in 1479 and 1480, and it is likely that he was known to his patrons of St John, prior to the Battle of Nancy. 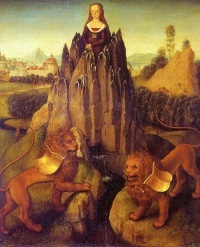 Memling is connected with military operations only in a distant sense. His name appears on a list of subscribers to the loan which was raised by Maximilian I of Austria, to defend against hostilities towards France in 1480. In 1477, when he was incorrectly claimed to have been killed, he was under contract to create an altarpiece for the gild-chapel of the booksellers of Bruges. This altarpiece, under the name of the Seven Griefs of Mary, is now in the Gallery of Turin. It is one of the fine creations of his more mature period. It is not inferior in any way to those of 1479 in the hospital of St. John, which for their part are hardly less interesting as illustrative of the master's power than The Last Judgment which can be found since the 1470s in the St. Mary's Church, Gdańsk. 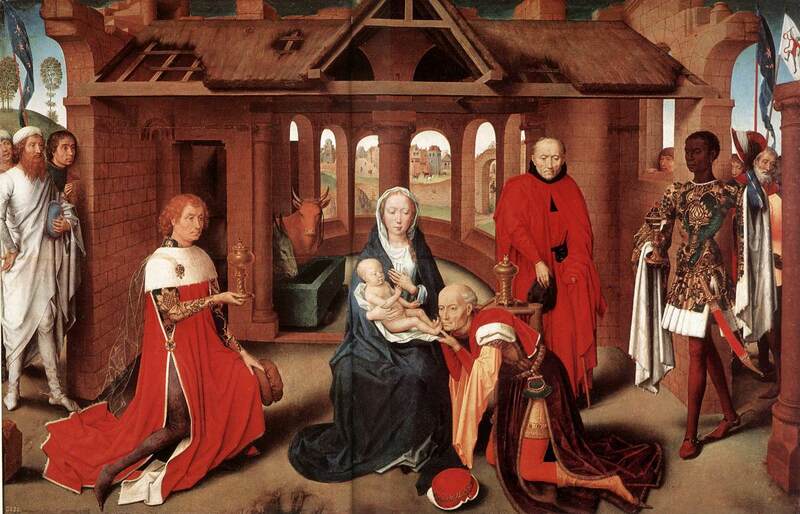 Critical opinion has been unanimous in assigning this altarpiece to Memling. 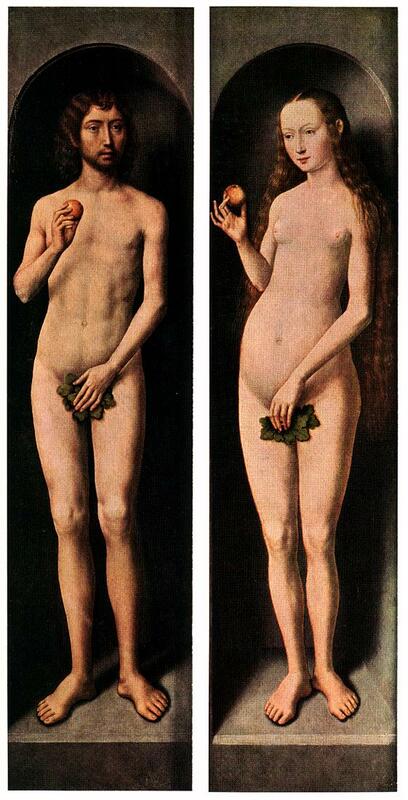 This affirms that Memling was a resident and a skilled artist at Bruges in 1473; for the Last Judgment was undoubtedly painted and sold to a merchant at Bruges, who shipped it there on board of a vessel bound to the Mediterranean, which was captured by Danzig privateer Paul Beneke in that very year. This purchase of his pictures by an agent of the Medici demonstrates that he had a considerable reputation. 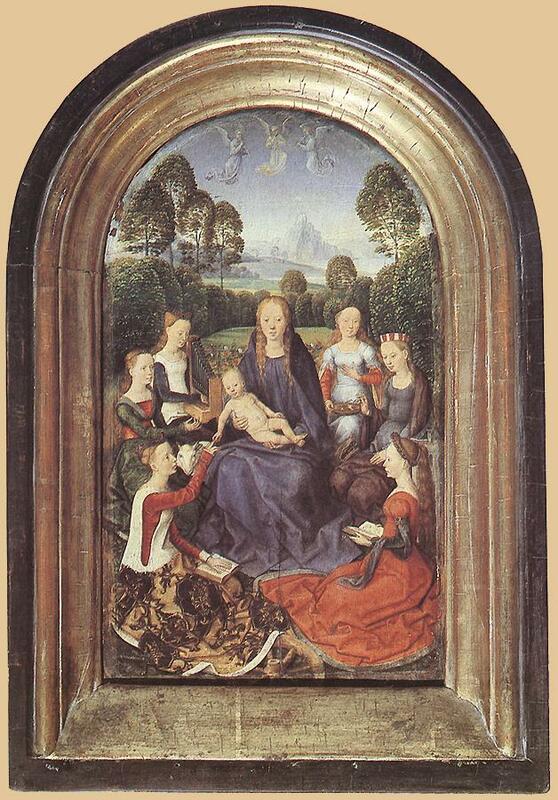 It is characteristic that the oldest allusions to pictures connected with Memling's name are those which point to relations with the Burgundian court. The inventories of Margaret of Austria, drawn up in 1524, allude to a triptych of the God of Pity by Roger van der Weyden, of which the wings containing angels were by "Master Hans". 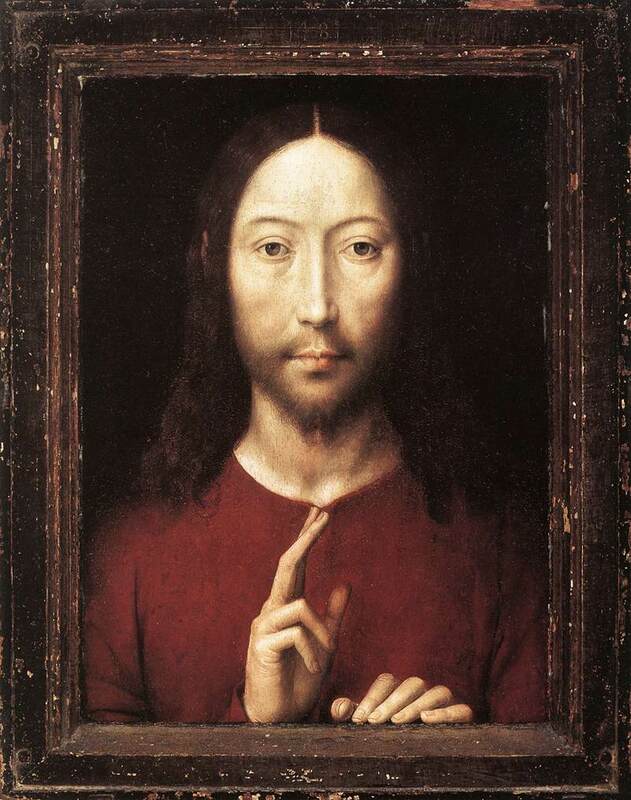 But this entry is less important as affording testimony in favour of the preservation of Memling's work than as showing his connection with an older Flemish craftsman. 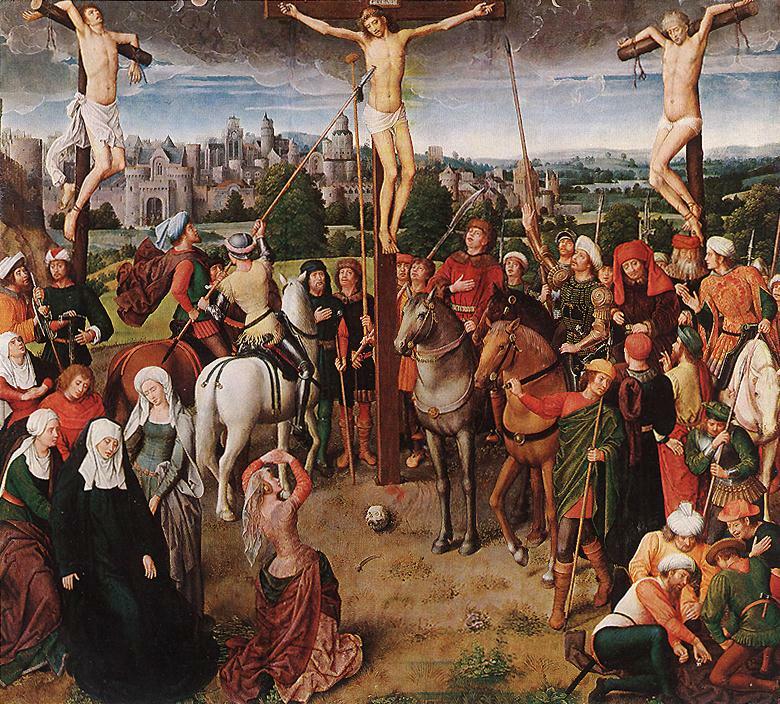 For ages Roger van der Weyden was acknowledged as an artist of the school of Bruges, until records of undisputed authenticity demonstrated that he was bred at Tournai and settled at Brussels. Nothing seems more natural than the conjunction of his name with that of Memling as the author of an altarpiece, since, though Memling's youth remains obscure, it is clear from the style of his manhood that he was taught in the painting-room of Van der Weyden. 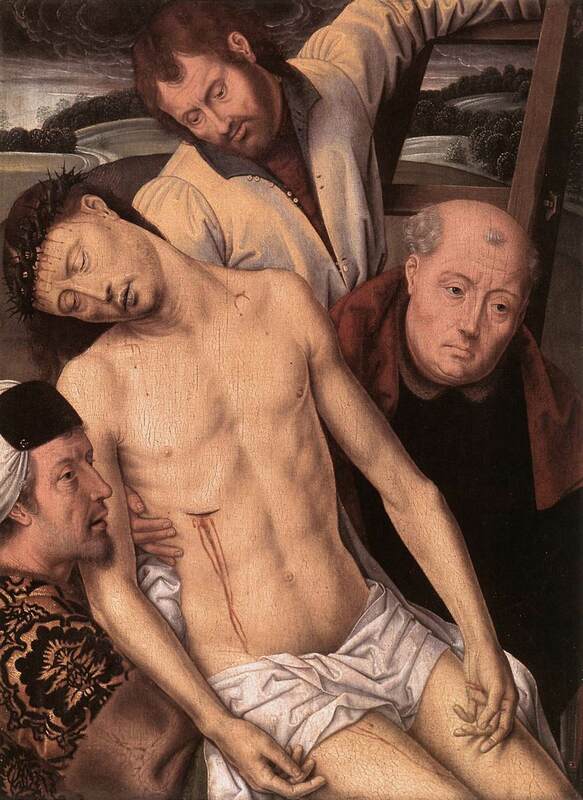 Nor is it beyond the limits of probability that it was Van der Weyden who received commissions at a distance from Brussels, and first took his pupil to Bruges, where he afterwards dwelt. His painting of the Baptist in the gallery of Munich, done circa 1470, is the oldest form in which Memling's style is displayed. It is scarcely surpassed by the Last Judgment in Danzig. 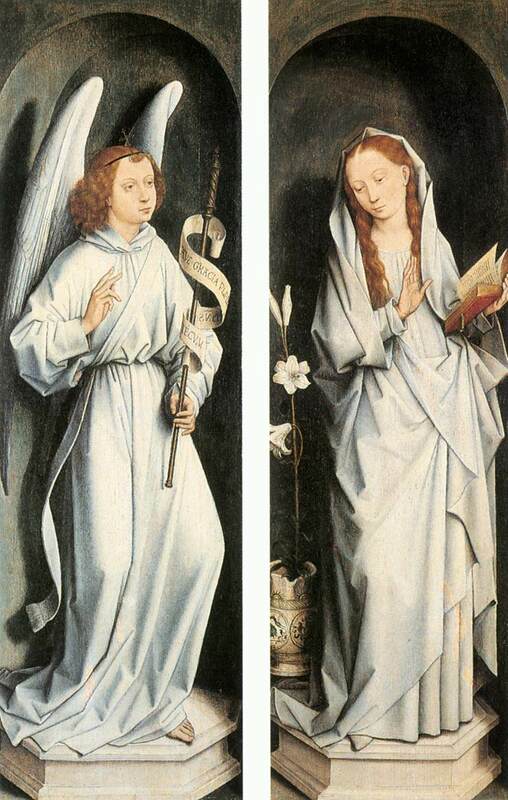 The latter work shows that Memling preserved the tradition of sacred art used earlier by Rogier van der Weyden in the Last Judgment of Beaune. 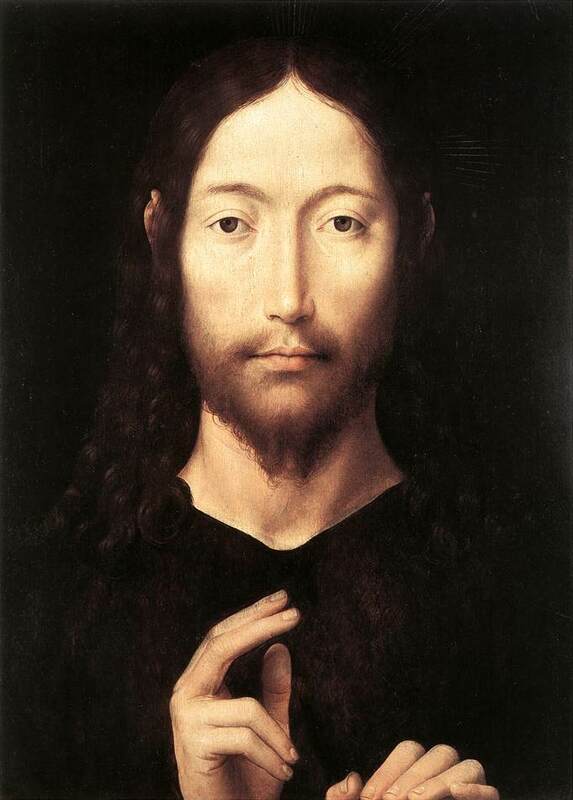 Memling is seen to have purged his master's manner of excessive stringency, and add to his other qualities a velvet softness of pigment, a delicate transparence of colours, and yielding grace of slender forms. Picture-fanciers of Italy were certainly familiar with the beauties of Memling's compositions, as shown in the preference given to them by such purchasers as Cardinal Grimani and Cardinal Bembo at Venice, and the heads of the house of Medici at Florence. It was perhaps not their sole attraction that they gave the most tender and delicate possible impersonations of the Mother of Christ that could suit the taste of that age in any European country. But the portraits of the donors, with which they were mostly combined, were more characteristic, and probably more remarkable as likenesses, than any that Memling's contemporaries could produce. Nor is it unreasonable to think that his success as a portrait painter, which is manifested in isolated busts as well as in altarpieces, was of a kind to react with effect on the Venetian school, which undoubtedly was affected by the partiality of Antonello da Messina for trans-Alpine types studied in Flanders in Memling's time. The portraits of Sir John Donne and his wife and children in the National Gallery, London altarpiece are also remarkable as models of drawing and finish than as refined presentations of persons of distinction; nor is any difference in this respect to be found in the splendid groups of father, mother, and children which fill the noble altarpiece of the Louvre. As single portraits, the busts of Burgomaster Moreel and his wife in the museum of Brussels, and their daughter the Sibyl Zambetha (according to the added description) in the hospital at Bruges, are the finest and most interesting of specimens. The Seven Griefs of Mary in the gallery of Turin, to which we may add the Seven Joys of Mary in the Pinakothek of Munich, are illustrations of the habit which clung to the art of Flanders of representing a cycle of subjects on the different planes of a single picture, where a wide expanse of ground is covered with incidents from the Passion in the form common to the action of sacred plays. The masterpiece of Memling's later years, a shrine containing relics of St Ursula in the museum of the hospital of Bruges, is fairly supposed to have been ordered and finished in 1480. The delicacy of finish in its miniature figures, the variety of its landscapes and costume, the marvellous patience with which its details are given, are all matters of enjoyment to the spectator. 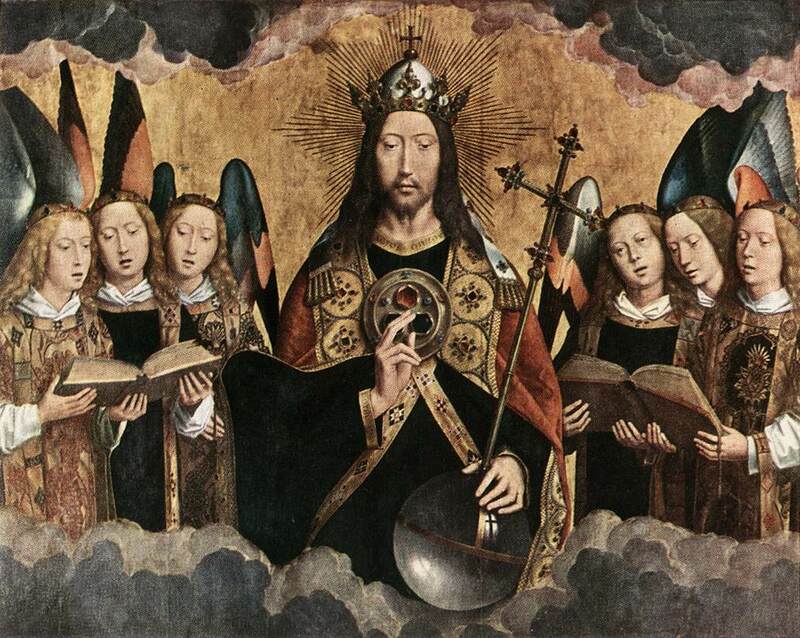 There is later work of the master in the St Christopher and Saints of 1484 in the academy, or the Newenhoven Madonna in the hospital of Bruges, or a large Crucifixion, with scenes from the Passion, of 1491 from the Lübeck Cathedral (Dom) of Lübeck, now in Lübeck's St. Annen Museum. But as we near the close of Memling's career we observe that his practice has become larger than he can compass alone; and, as usual in such cases, the labour of a workshop is substituted for his own. The registers of the painters' guild at Bruges give the names of two apprentices who served their time with Memling and paid dues on admission to the guild in 1480 and 1486. These subordinates remained obscure. Erwin Panofsky in his 1953 Early Netherlandish Painting (p.347), says of Memling, rather harshly: "...while the Romantics and the Victorians considered his sweetness the very summit of Medieval art, we feel inclined to compare him to a composer such as Felix Mendelssohn: he occasionally enchants, never offends, and never overwhelms. His works give the impression of derivativeness..."
Unless indicated otherwise, the text in this article is either based on Wikipedia article "Hans Memling" or another language Wikipedia page thereof used under the terms of the GNU Free Documentation License; or on original research by Jahsonic and friends. See Art and Popular Culture's copyright notice. This page was last modified 10:12, 13 October 2012.